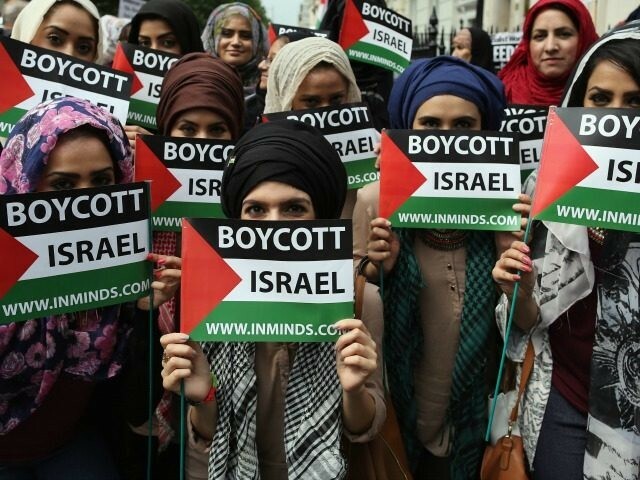 The city council decided in August of last year to deny space for activities of the anti-Semitic BDS (Boycott, Divestment, Sanctions) movement that targets Israel and seeks to isolate it from the world. In the future, we will only work together with those banks, Volksbanks and savings banks, which in turn have no business relations with organizations of the anti-Semitic BDS movement or related parties. At the core of the BDS movement is the delegitimization of the state of Israel, for which purpose boycott and defamation are used as a means. From self-proclaimed ‘department store police’, which brand Israeli merchandise in stores, intimidating traders, to intimidating artists who perform or want to perform in Israel, to disturbing events, a selection of a variety of BDS activities are available worldwide. Frankfurt’s move follows that made by civic leaders in the German capital Berlin just six months ago. As Breitbart Jerusalem reported, on that occasion mayor Michael Müller said he will personally stop all city support and space for groups that advocate BDS actions against Israel. The mayor, previously under fire for his inaction toward BDS, said he will ensure there are “at a minimum strict ordinances and prosecution of all offenses” at the al-Quds march.